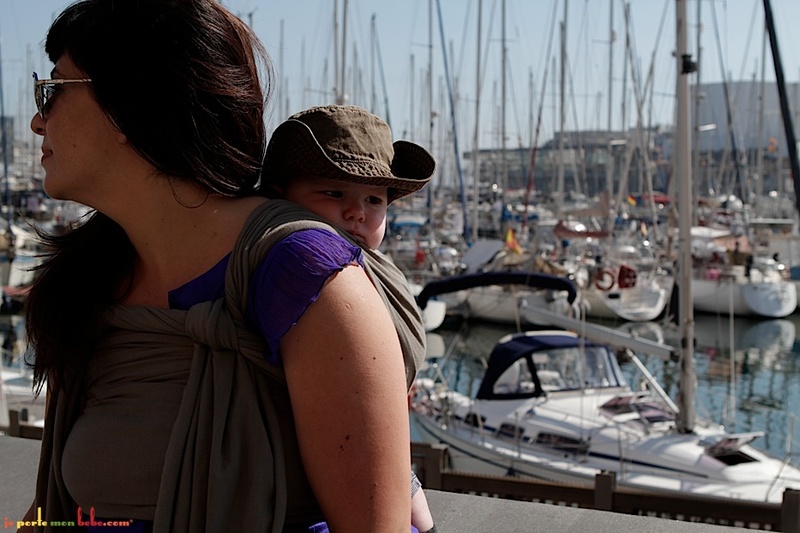 This week's sling is the Je Porte Mon Bebe (JPMBB). Wow. This sling is different. It's a hybrid wrap - a cross between the traditional stretchy wrap that's so great for newborns, and a woven wrap that will comfortably carry older babies and toddlers. It's s-o-o stretchy - due to its Lycra content - that it will last way beyond the newborn-to-four-month stage that most stretchies accommodate. 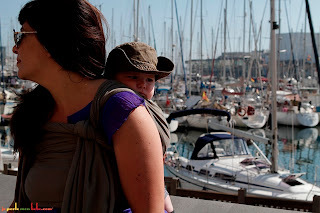 Unlike traditional jersey stretchy wraps, this one bounces back, elastic-style, so can even carry children on the back and hold them in securely. But the proof is in the wearing. I wore this nearly all day at a local festival and DID NOT want to take it off! Not only did it support a weighted demo doll (they are realistically heavy) as though it were a piece of mere fluff, I actually felt more upright and supported than in my sling-free state, as though my posture was being corrected! These are new wraps, so you won't see many around. It's available to borrow now. Ours is in a classy, unisex, dove-grey. A beaut.